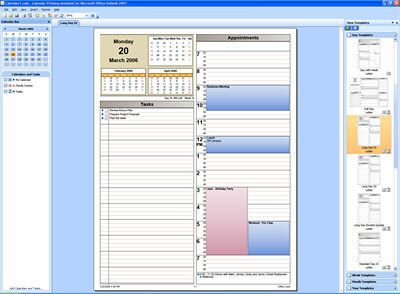 Calendar Printing Assistant for Microsoft Outlook 2007 is a program that provides an easy way to print and customize Outlook 2007 calendar information, with plenty of tools that helps to plan and create fancy, professional, colorful or even designer-quality calendar output. Print dynamic calendar views, either selecting calendars for any time frame or print multiple calendars in one view, without worry about the professional quality of the calendar that you’re able to design. 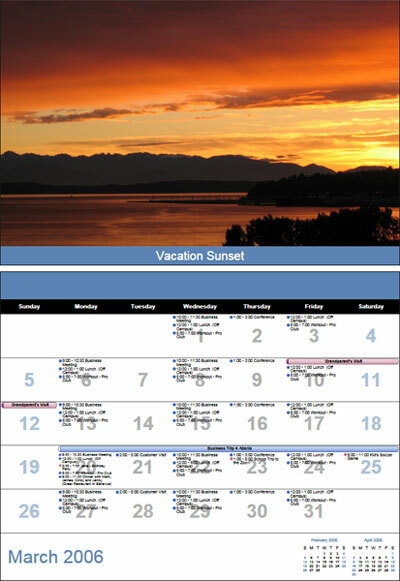 Users can also customize and personalize the calendars by using out-of-the-box template choices., with images, such as adding family photos, clip art, and other fun or meaningful content. As usual, colors, fonts, and styles can be fully customized. 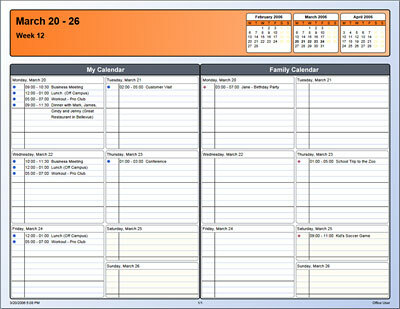 If you still demanding more freedom to play with your calender, then customize and create new templates. Finally, Calendar Printing Assistant can adjust information to changing views. 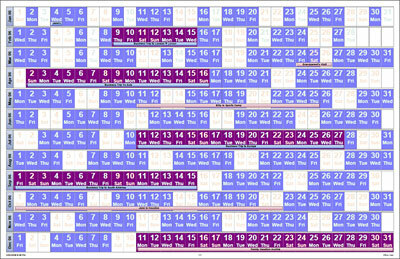 The Calendar Printing Assistant has tools to display and organize long-range calendar views like months or years. Using these views can help you get insight and forecast into long-term projects or activities as well as make better decisions and plans. Or you can use space-saving designs to squeeze in all your calendar information. Download Calendar Printing Assistant for Outlook 2007 from Microsoft Download Center. No validation required, but if you’re using Windows XP, Microsoft .NET Framework Version 3.0 is required. The application works on Windows Server 2003 Service Pack 1 and Windows XP Service Pack 2 or above, and should work on Windows Vista too.